As you may have heard, the Netherlands’ Queen Beatrix has abdicated, passing on the throne to her son, now King Willem-Alexander. He’s the first king in 120 years! 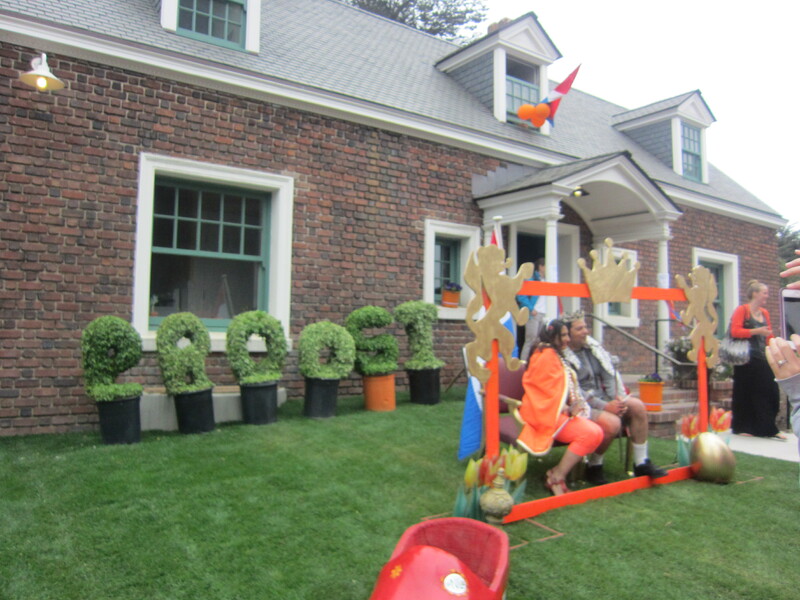 As always, the Dutch know how to throw a great party and this years’ Queen’s Day was even more special in light of the change. 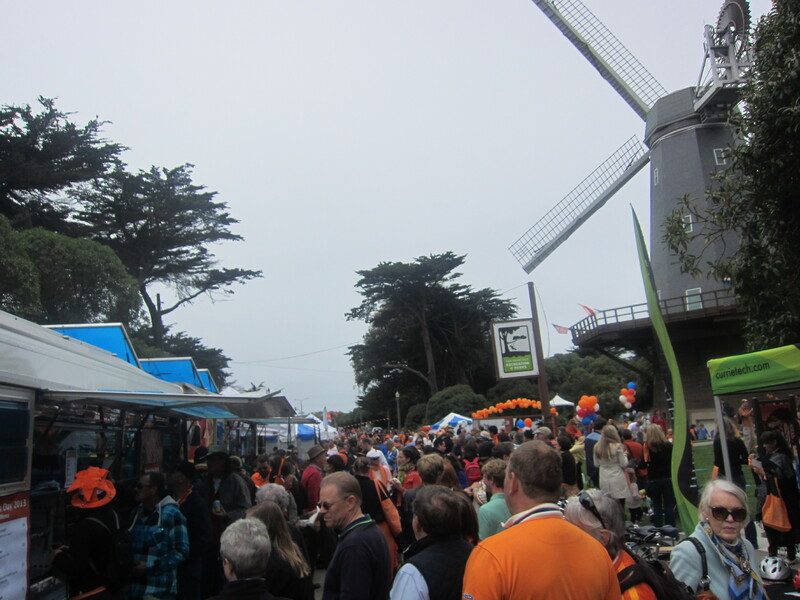 Next year, it’ll be King’s Day! A friend who in the Netherlands during the period leading up to the celebrations brought back a huge poster of Willem and his wife Maxima. So I guess if hubby feels super patriotic and in love with the royals on King’s Day next year, we can assault our neighbors’ eyes with the super cheesy blowup photo of the Dutch royal couple. 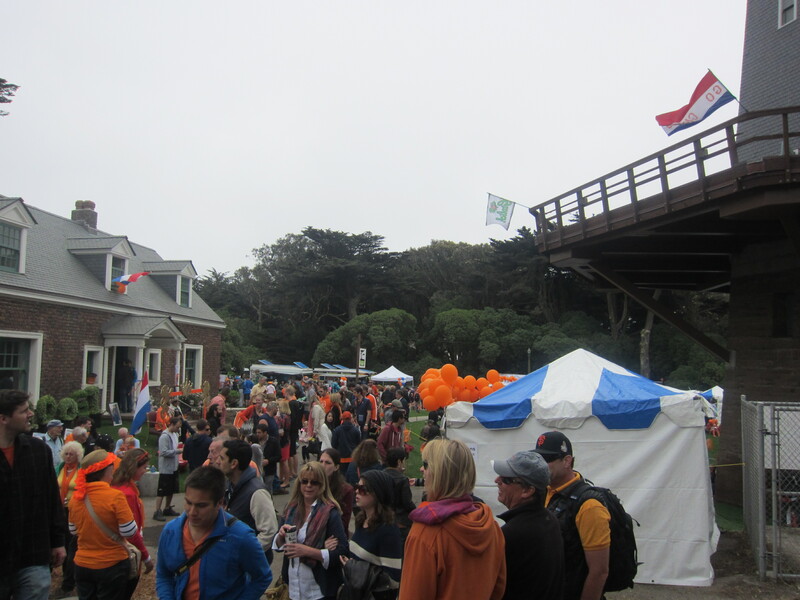 As always, I tell myself that some day I’ll make it to the Netherlands for the biggest celebration of the year…Until then, at least there’s the festivities put on by the Dutch consulate in San Francisco to be happy about. 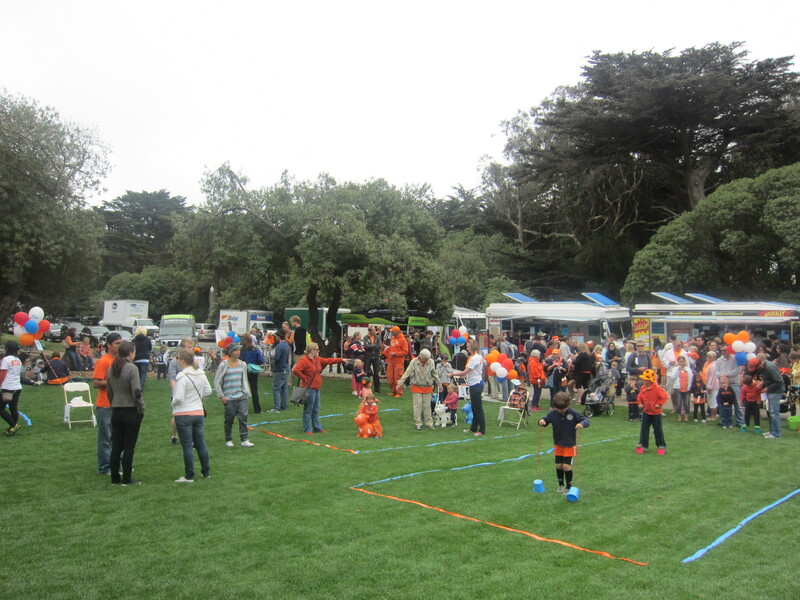 This year’s festivities were held in Golden Gate Park around Murphy’s windmill. 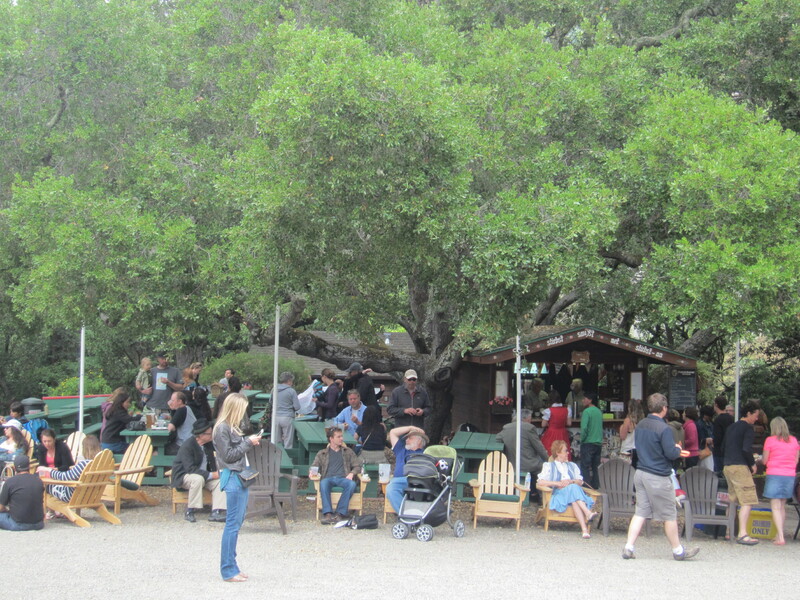 I must say, I liked this set up better than last year’s, which was split between Murphy’s windmill and the one in the Queen Wilhelmina Garden and thus too spread out. Another improvement was the food! Additions this year included pannokoken and stroopwaffel stands. 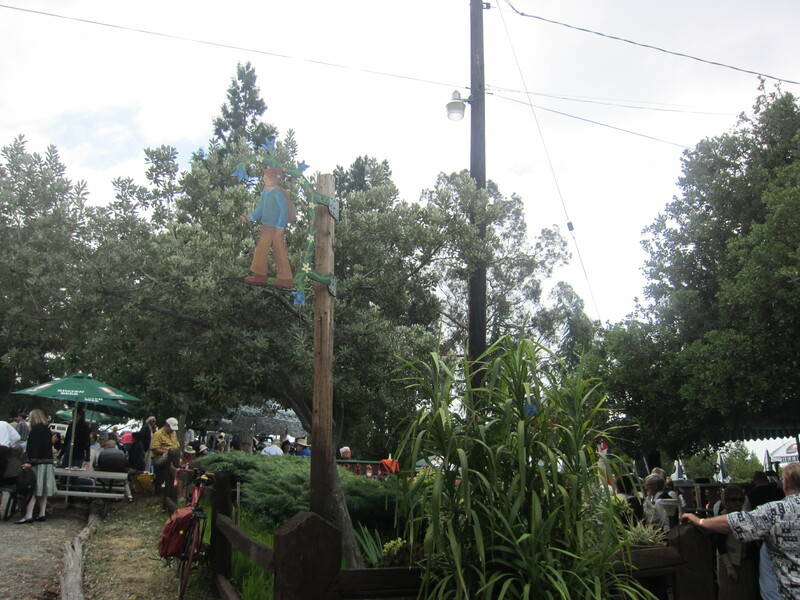 Unfortunately, the lines to get the freshly-made pannokoken and stroopwaffel were so long that I declined to get them. They looked nice and smelled wonderful though! 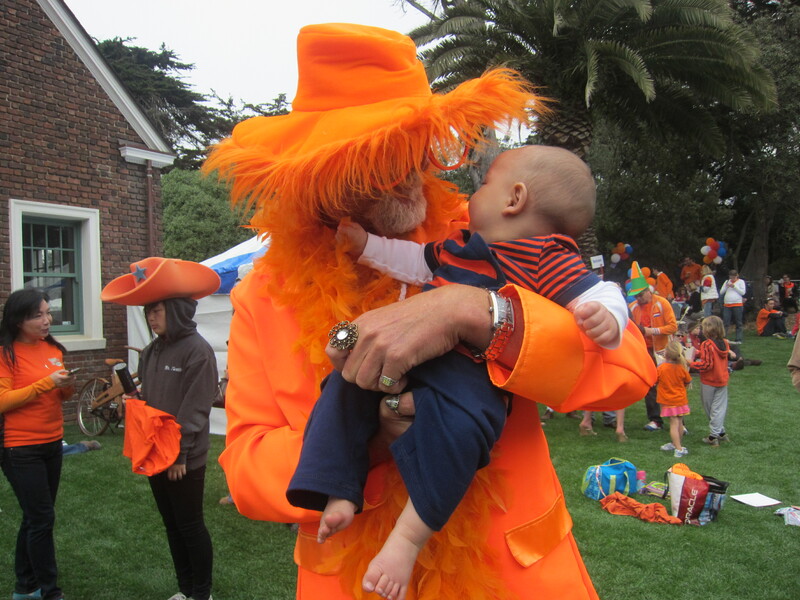 Here is our little man enjoying his first Queen’s Day! 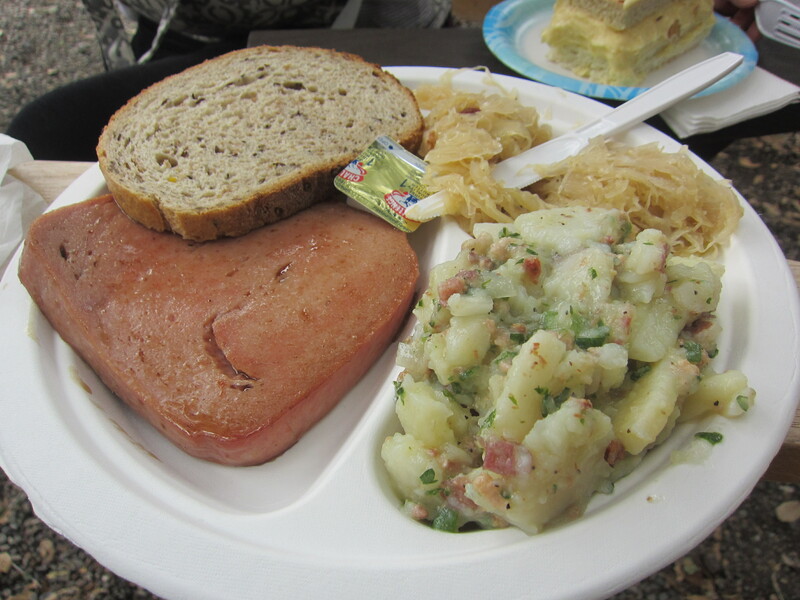 A few weekends later, we enjoyed another cultural celebration – Maifest, the German celebration of the arrival of Spring. 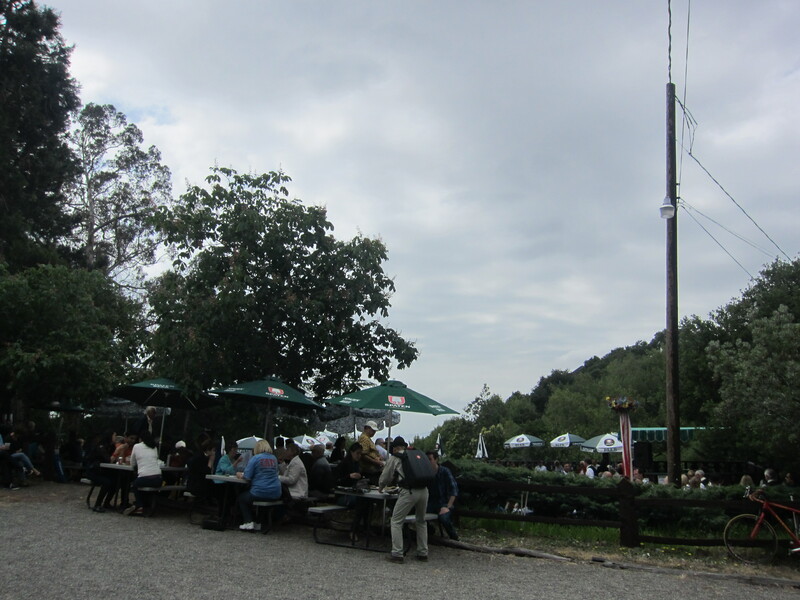 This event was put on by the Oakland branch of Nature Friends, a non-profit organization dedicated to the promotion of enjoyment of nature and the European (Austrian-German-Swiss) Alpine social scene. 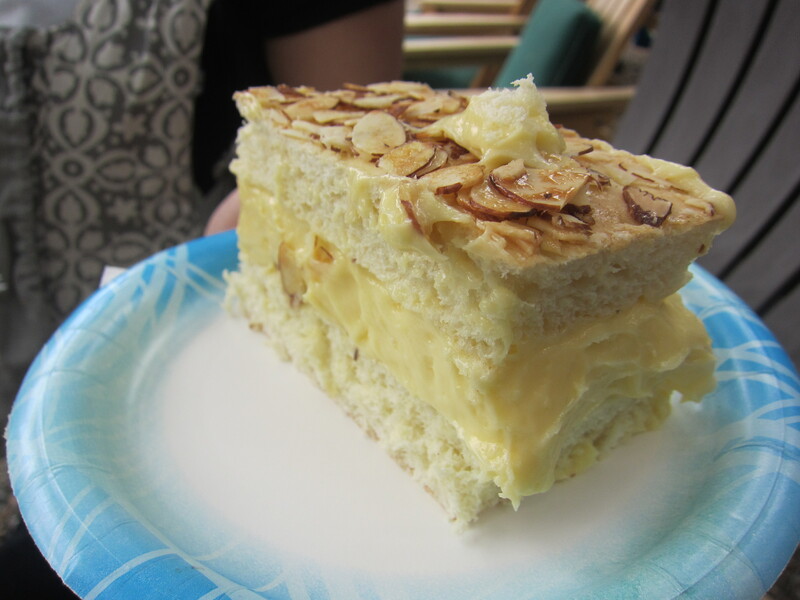 Founded in Vienna, Austria in 1895, there are branches all over, with lodges and clubhouses in fantastic settings. 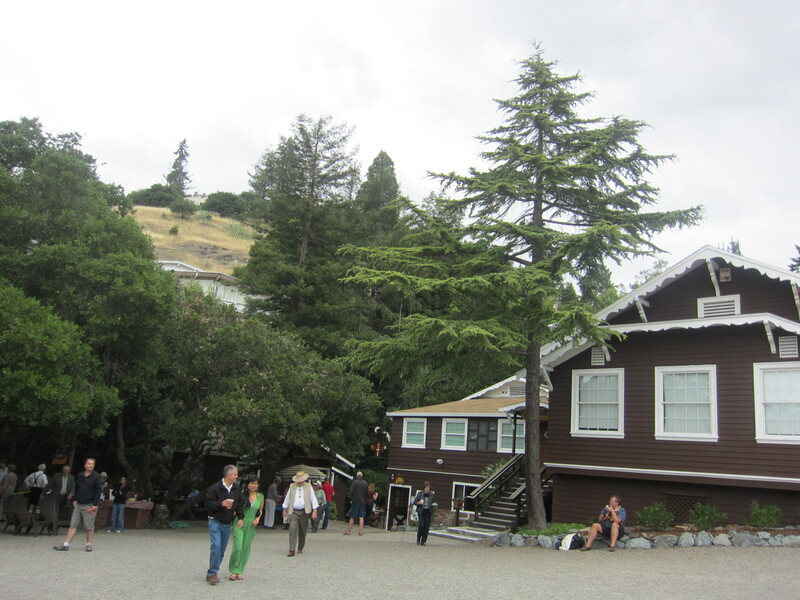 The Oakland branch has a lodge in the Oakland hills, with gorgeous views of the SF Bay. Throughout the year, it puts on great parties. 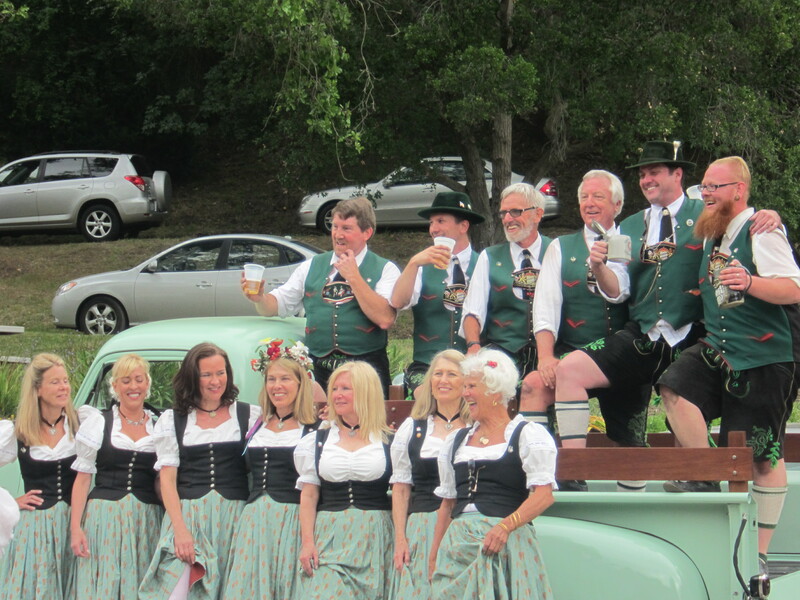 Some friends invited us to the club’s Oktoberfest festivities last year but we couldn’t make it. So when we got wind of Maifest, we were immediately down to go! $10 got us in with parking (first 100 cars) and entertainment. Food and alcohol was reasonably priced. 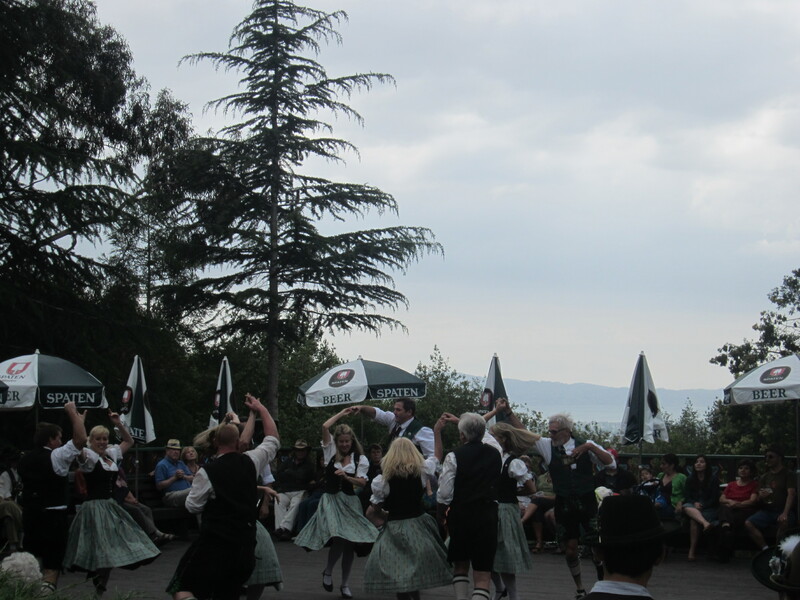 I LOVED seeing the traditional German music band and dancing! I haven’t seen older gentlemen and women dance so enthusiastically and with such passion for a while. I’m definitely looking forward to going to more events at this place. 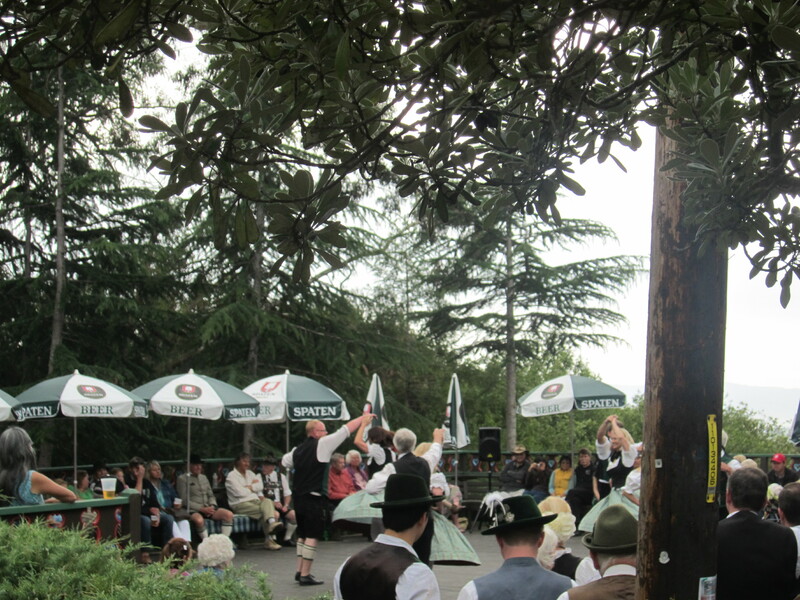 One of the great benefits of living in a diverse area – all the great cultural events!